With UCLA’s Jordan Adams out for the year, Norman Powell was inserted into the starting lineup and the 6-foot-4-guard will need to step up against Minnesota today. Ever since Powell has come to UCLA, he’s drawn comparisons to notable former guard Russell Westbrook because of his 6-f00t-11-inch wingspan and extreme athleticism. But when Powell was replaced in the starting lineup after some strong early season play from Jordan Adams, he lost confidence and never regained his role in the first five. In his first game back as a starter against Oregon in the Pac-12 semifinals, however, he had 10 points on 3-of-6 shooting and had four rebounds. The sophomore seems more determined than ever after his second go as a starter and if he can match the production of Jordan Adams, the Bruins might just advance to the next round. Tad Boyle believes all his freshmen at Colorado are ready for their first NCAA Tournament game. Boyle says that they are not really freshmen anymore and that holds most true with starters Josh Scott and Xavier Johnson. Scott has averaged 10.3 points and 5.5 rebounds per game this year while Johnson averages 9 points and 4.8 rebounds per game. Johnson has saved some of his best games for big moments as well. He had 19 points and 22 points in Colorado’s wins over Arizona and Oregon respectively. Illinois will obviously try to stop Colorado’s two best players Spencer Dinwiddie and Andre Roberson today, and that will leave the game up to the two starting freshmen. Oregon head coach Dana Altman has always been a model of consistency. When Altman was lured from Creighton to Eugene, he didn’t change his hard-working and confident style despite the increased budget and popular Nike brand. In his time at Creighton, Altman brought the Blue Jays to the NCAA Tournament seven times in 16 years and continued to improve his team. And his time at Oregon has been exactly the same. The Ducks were in the CBI in Altman’s first year, the NIT in his second, and made the NCAA Tournament this year and picked up a win over Oklahoma State yesterday. Needless to say, Altman knows what he is doing and continues to do so in a selfless, yet confident way. UCLA’s Larry Drew II doesn’t look at the championship ring he won at North Carolina as a freshman often. That’s because Drew’s career as a Tar Heel was never too successful. He failed to meet expectations as a sophomore after the national championship and was replaced by freshman Kendall Marshall in his junior year. Then, Drew decided to transfer to UCLA. Although the Bruins’ heralded freshmen have been critical this season, Drew might be the most valuable player for UCLA. 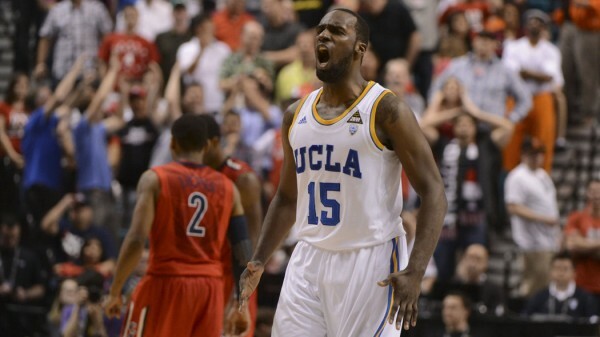 After USC beat UCLA by forcing Drew to shoot, he changed his game. Since then, Drew has shot 51 percent from the field and 61 percent from three in 12 games. Andre Roberson was largely ignored as a recruit when he played high school basketball in Texas. Now as one of the nation’s top rebounders, Roberson heads back to his home state to play in the NCAA Tournament, but the scenario is quite different. No team from the state of Texas made the field of 68 this year while Roberson has led Colorado to its second consecutive tournament appearance making all those teams second guess themselves once again for passing on the local talent. Andrew Murawa is the RTC correspondent for the Pac-12 Conference. He filed this report after Saturday night’s Pac-12 Tournament championship game between Oregon and UCLA. Jonathan Loyd, The Oregon Point Guard. After slowly returning from injury, this was supposed to be the week when Dominic Artis returned to form in the Oregon starting lineup. He did return to the starting lineup, but it was Jonathan Loyd who was the man at the point for the Ducks. He was terrific all weekend averaging 24 minutes and 11.3 points per game, but was particularly good in the championship, scoring 19 points and bailing out the Ducks at the end of the shot clock by knocking down jumpers. However, is that the type of offense that head coach Dana Altman really wants? After the game, Altman made it clear that there were times that Loyd took some shots that he wasn’t exactly pleased with. To be honest, often in the second half, the Ducks didn’t run particularly good sets but got bailed out either by Loyd late or by offensive rebounds off misses. Ideally, Loyd would be generating good looks for his teammates more regularly than getting his own shots, but it is awfully hard to argue with the results tonight. Life Without Jordan Adams. In UCLA’s first game following Jordan Adams’ broken foot, the Bruins clearly struggled offensively, to the tune of 0.96 points per possession — their least effective offensive performance since their Valentine’s Night massacre at the hands of California. Some of the problems can be chalked up to fatigue in the face of playing their third game in as many nights with basically just a six-man rotation, and some of it can be explained away by the idea that this team didn’t have much time to game plan for life without Adams. But, let’s just say that game one in the post-Adams era did not go smoothly. Shabazz Muhammad was limited by a defense free to key on him and Kyle Anderson was unable to step into a secondary scorer’s role, leaving Larry Drew II to pick up the scoring slack, which he accomplished to some extent (14 points on 11 field goal attempts). Norman Powell was a pretty bright spot as well, scoring 10 points on six FGAs in 37 minutes. UCLA will probably be more comfortable in its next game out, but the long-term prognosis for the Oregon offense without Adams is not bright. Andrew Murawa is the RTC correspondent for the Pac-12 Conference. 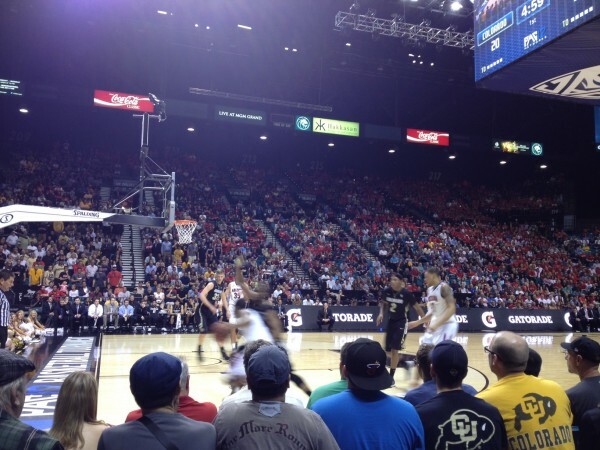 He filed this report from Thursday afternoon’s Pac-12 Tournament session in Las Vegas. 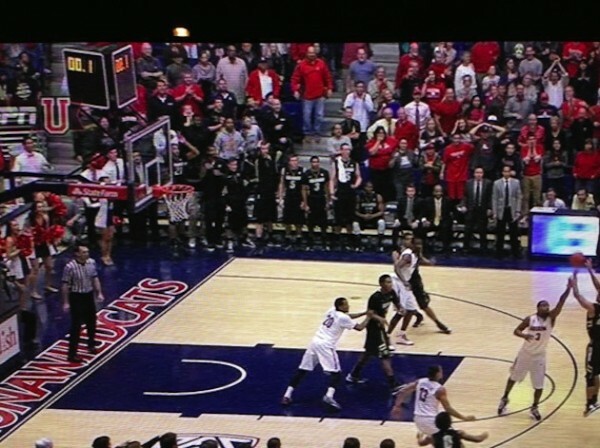 First and foremost, let’s congratulate the Pac-12 conference on finally having a relevant conference tournament. Even in the glory days of the Pac-12 when NBA lottery picks littered rosters up and down the west coast, the tournament at the Staples Center was never a great event. First, while Los Angeles is a fine city to live in (at least according to this Angeleno), it isn’t a great destination for out-of-towners. It’s spread out and the area right around the Staples Center is not exactly the type of place that is incredibly inviting for vacationers. Then there’s the Staples Center itself – a cavernous arena much better suited to the soulless grind of the NBA than the excitement of March college hoops, made even worse when a mere fraction of the seats were occupied. Then there was a theory – which never meant much in practice – that it was a home court advantage for the Los Angeles schools. Well, all of those worries are out the door with the move to the MGM Grand in Las Vegas. It is certainly a destination spot, it offers plenty of affordable and centrally-located hotel options, the arena itself is big enough to welcome in fans from around the conference yet small enough to be intimate and loud, and this is clearly a neutral environment. 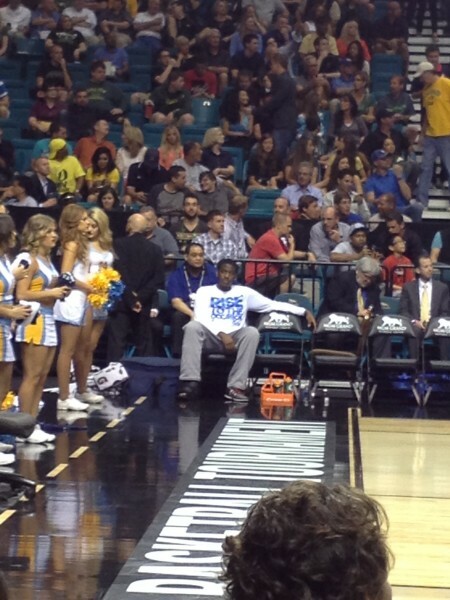 I can’t imagine that this tournament is going to be held anywhere other than Las Vegas for a long, long time. We set out on this march to get to Vegas to determine a champion. From our armchairs or the stands, we’ve watched and discussed and texted and blogged and done it all over again trying to determine the ins and outs of what’s proven to be quite the march. And if you’ll recall, it all began with Sabatino Chen’s shot. The one where he was frantically trying to not dribble out the clock of a tie game, the ball with him despite having connected on just a handful of career shots, let alone threes. He heaved the ball, right over Kevin Parrom’s outstretched arm – our eyes collectively following its trajectory, our breaths collectively held. Glass. Nylon. The officials would then see something on their monitor replays that perhaps the rest of us did not. A Season That Started With This Suspense Has Seen Many Surprising Stories. Which is not unlike the fact that none of us saw Oregon making a run through Pac-12 play as the wire-to-wire conference leader. Projected to finish seventh, the Ducks have spent all of, what, one day not in first place? They’ve received POY-worthy efforts from Arsalan Kazemi and COY-worthy leadership from Dana Altman. Again, if we’re looking into our own monitors, we probably wouldn’t have seen this or even E.J. Singler hitting a season-long shooting slump or Dominic Artis’ MVP value. We also would have missed Arizona’s late season implosion – perhaps a bit steep of a word – but this is a team that was once 14-0 and ranked third among more than 340 D-I teams. Today they’re not third in their own 12-team conference. Never saw that coming. Or that the Wildcats’ own vaunted class of bigs would average just 6.4 PPG and 4.9 RPG. So, yeah, quickly, the top candidates for the head basketball coach at USC: something like Pittsburgh head coach Jamie Dixon, Syracuse assistant Mike Hopkins, interim head coach Bob Cantu and, um, former USC head coach Tim Floyd? Wait, run that last one by me again. Floyd is currently the head man at UTEP, a position he’s held for a few years after resigning from the USC gig (something about how he didn’t feel supported by then-USC athletic director Mike Garrett in the wake of allegations that guard O.J. Mayo accepted impermissible benefits from an agent). Floyd has long maintained a complete lack of involvement in the issue and plenty of investigations (both by USC and by the NCAA) have failed to turn up any evidence of wrongdoing on his part. Still, let’s not consider Floyd a leading candidate just yet. The meeting between Floyd and now-athletic director Pat Haden may have just been a way for the new AD to build a bridge over the bad blood in the wake of the parting, and Floyd, for his part, is using the surprising news as a way to get the word out publicly that “hey, I didn’t have anything to do with that.” Still, for a stretch there, Floyd put together four straight winning seasons including three in a row with 20-plus wins and NCAA Tournament invitations, including a Sweet Sixteen appearance. Across town, UCLA head coach Ben Howland let it slip, rather innocently and honestly, that Shabazz Muhammad was in all likelihood headed for the NBA Draft. And that’s not the only opinion he has on the state of the NBA, as he mentioned on Monday that he would prefer changes to the NBA’s eligibility rules that would end the one-and-done era. Howland’s plan would be similar to the rules presently used by Major League Baseball, whereby players would have the option to go straight from high school to the pros, but that once they wind up in college, they have to stay for a few years before being eligible again. Howland also knows that there’s not a chance that change gets made, at least anytime soon. If Carson does stick around for another season in the desert, he’ll have a new competitor in the state at point guard, as Arizona will unveil Duquesne transfer T.J. McConnell as their new lead guard. The Daily Wildcat sees a parallel between McConnell’s skill set and the skills of UCLA point guard Larry Drew II. Compared to present UA point Mark Lyons, McConnell is more of the traditional pass-first, shoot-second floor general (of course, compared to Lyons, Allen Iverson is more of a traditional point guard). As Wildcat fans begin to grow weary of Lyons’ all-or-nothing style, the future is starting to look real good, even if that envisioned future is based on little more than partial information. Lastly, as we look ahead to this week’s games, Washington may be out of the race for the conference title but it still has a chance for some input, as the Huskies will host UCLA on Saturday night. Head coach Lorenzo Romar is hoping that his team can finish the regular season in style. They’ve put together a 13-3 record in the final four conference games of the previous four seasons, and are well on their way to a repeat of that mark with two wins last week. But with USC and UCLA both playing well, the Huskies have their work cut out for them this week. It was February 4, 2011. The North Carolina Tar Heels were sitting at 16-5 for the year and 6-1 in conference play. They were just days removed from a 32-point win over Boston College during which former starting point guard Larry Drew II handed out nine assists in just 19 minutes of action off the bench. And yet, on that day, Drew announced via a written statement that he would be leaving the North Carolina program and transferring elsewhere to complete his eligibility. The common cry heard around the land was that Drew had quit on his team because he had lost his starting job to freshman Kendall Marshall. Criticisms around the Chapel Hill area were certainly even more pointed, and as the Tar Heels proceeded to win 13 of their next 16 games, eventually losing in the Elite Eight to Kentucky, Drew, a former McDonald’s All-American, was nearly written off as an afterthought in college basketball circles. Fast forward a year and nine months. UCLA is opening a newly remodeled Pauley Pavilion with one of the nation’s best freshman classes, hoping to rebound from a mediocre season. With head coach Ben Howland’s job in jeopardy in the face of demanding Bruins fans, who is it that he relies on to lead his young club? Yup, Larry Drew II, albeit it an older, wiser and more mature Larry Drew II. North Carolina fans aren’t going to want to hear this, and there are plenty around the country who will still pick apart the holes in the senior’s game, but as UCLA gets ready to celebrate the Senior Night of their for-one-year-only point guard, you better believe the Bruins wouldn’t even have the record they currently have sans Drew’s presence. On Saturday night, news leaked out of Los Angeles that junior forward Travis Wear, UCLA’s most-used and most-capable post player, had injured a foot and would likely miss Sunday’s game with USC. When he walked out onto the court in street clothes and a walking boot just prior to the game, Bruins’ fans worst fears were confirmed, leaving a squad that was already significantly short-handed in the frontcourt having to rely on just two players – Travis’ twin David Wear and little-used freshman center Tony Parker – to man the post against a Trojan team that features two seven-footers earning regular time. But the duo of the other Wear and Parker quickly put those concerns to rest with good production right out of the gates. In the first four minutes of play, David Wear scored four points, grabbed three boards and dished out an inside-out assist while playing with great energy on both ends of the floor. When Tony Parker made his debut, he went straight to work as well, scoring four points in his first four minutes as UCLA point guards Larry Drew II and Kyle Anderson repeatedly looked for him on screen-and-roll opportunities. All told, the duo combined for 18 points and 14 rebounds in a combined 50 minutes of action as the Bruins rolled over their cross-town rival. 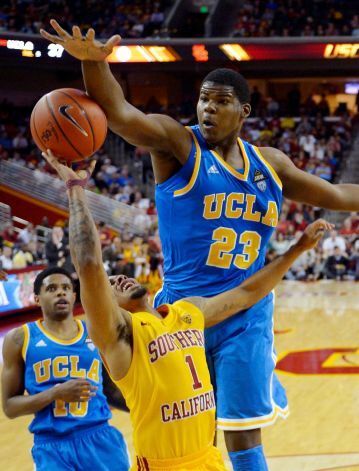 With Travis Wear currently considered day-to-day and with a couple of very big games coming up this week against the Arizona schools, the Bruins may have to face time with Parker and Wear as the sole bigs. But their performances in the game on Sunday had to have given head coach Ben Howland and UCLA fans confidence that their thinner frontcourt could hold up under pressure.